In a stroke of a luck, I actually have a tournament I’ll be attending this weekend! All of you who read this series and find it insightful can now meet me in person (if you haven’t already). Don’t worry, I’ll have a pen ready to sign autographs! But blissful dreams aside, preparing for a tournament is a crucial part to how you’re going to play the day of. You need to be prepared if you want to maximize your chances of succeeding. With that in mind, let’s jump right in! The first thing you want to do is research. It doesn’t matter if it’s a local*/monthly/regional/national – you need to do your research. Are Miis allowed? Customs on or off? What about stage list? Next, research the players. Who’s attending? Any top names? Also try and find prominent local members of that area’s community. Are other players from different areas in the stage going? Who’s in the top 15 of the state/region/area? What characters do all of those players use? What’s the area/state’s most popular character? Chicago, for example, is heavy on Mario and Sheik. If you’re traveling, make sure you’ve got stuff planned. The more stress you can reduce before the tournament, the more you can focus on training and health. Where are you going to eat? See the food options available at the venue. Here’s where you take your research and apply it to your training. When it comes to a monthly/regional/national, you need to change your regiment. Play a little more and narrow down your training. If you’re from State Y and you’re coming to a Chicago monthly, you’re going to want to practice a little more against Sheik and Mario. Obviously, don’t neglect any characters, but your focus should be more on the popular characters and top players in the region and those characters. Is someone Out of State coming that’s a top player? Prepare for them too. When you’re watching videos, study the top players to get a feel for how they play. For stages, make sure you practice all the stages legal for that tournament. Give special attention to stages that aren’t legal in your local scene. Remember when I said play for 30 minutes a day? Bump that up to 45 minutes to an hour. Try and attend as many locals as you can. If you want to win, you need to put in the time and effort, and you wanna ramp up before a tournament to maximize how well you’re playing. SLEEP – You may want to play into the night before a tournament, but believe me you want to be alert, and coffee ain’t gonna do it for you. Get proper rest. If you’re staying up hella late you’re cutting your chances of winning. SHOWER – And let me be clear, this doesn’t just benefit everyone. Cleaning yourself gives you a better chance of warding off being sick. You play worse when you’re sick. EAT WELL – Don’t get a goddamn McGriddle before you play. You want sustainable energy that’ll help keep you alert and not exhausted. So, seriously, try and eat better the day of. Get chicken instead of a burger. Get a salad instead of fries. Eat a meal bar or a protein bar. WATER – Drink it. Love it. Be it. Don’t drink poison *coughsodaenergydrinksanythingnotwatercough* Stay hydrated. Play friendlies!!! I can’t stress this enough. Play as many friendlies with as many different people as possible, preferably with either your main or a very comfortable secondary. The goal here is to attain as much knowledge as possible about your prospective opponents. Even if it means throwing down a little cash, get in those games with top players and talk to them. Most top players are actually pretty nice, and should be more than happy to offer you some tips. Also, friendlies are a very good way to learn without going through the stress of a tournament match, which helps you conserve energy. You’ll want to make sure you don’t burn out over the course of the day, so make sure you do whatever it takes to stay in tip top form all day. When you’re at a tournament, have fun. Your mood is crucial to how well you’re going to be playing that day, so make sure you’re not focused solely on winning and stressing yourself out. Enjoy yourself! Plenty of times you’ll read articles from top players where they play insanely well because they were just enjoying themselves and somehow ended up winning the biggest tournament of their life. Seriously, come say hi to me if you’ll be at Mashfest this Saturday, September 5th, if you haven’t already met me in person. I’ll be there, available for questions, chatting, friendlies, etc… you’ll know it’s me because I’m super loud and I’ll be wearing a gray Fedora with a Paper Mario pin on it. Also, one more blog post before I wrap up the improvement series! 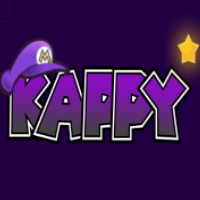 This entry was posted in Games, Gaming, Smash and tagged 2015, A, Blog, Competition, competitive, for, Games, gaming, improvement, in, Just, Just sayin', Kappy, Preparing, Sayin', six, Smash, Smash 4, Super Smash Bros., Super Smash Bros. 3DS, Super Smash Bros. Wii U, thekapz, Tournament, VI, Video game. Bookmark the permalink.